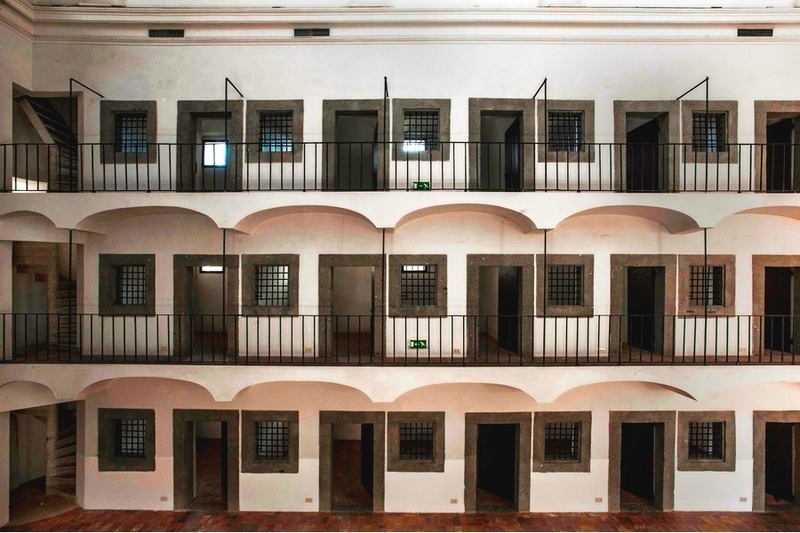 An astounding mix of modern penitentiary design and eighteenth-century building technology. and yet this is a correctional facility dating to 1700, an amazing relic of three centuries ago. 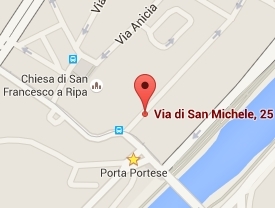 There is something odd in the visit to San Michele's old papal prison in Rome. It's like being in a dystopian movie taking place in some post-nuclear future. 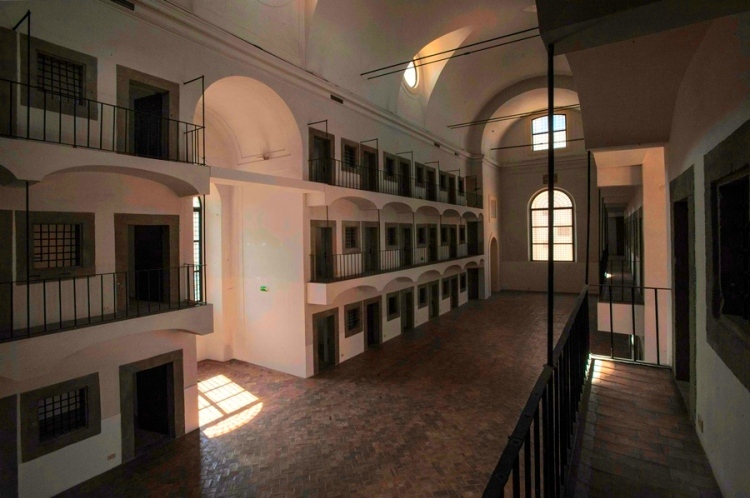 Everything is so reasonably functional, as in any contemporary penitentiary housing hundreds of inmates: the gratings, the blocks of cells, the spiral staircases linking the floors. At the same time, the visitor is overwhelmed by a sense of old-fashioned design, with the arched ceiling and the door frames made of grey stone. 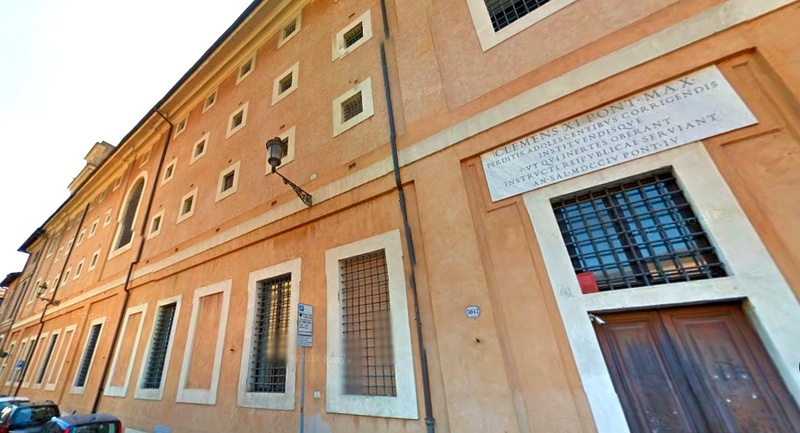 Welcome to the papal prison, designed in the eighteenth century to house "bad women" and juvenile delinquents. 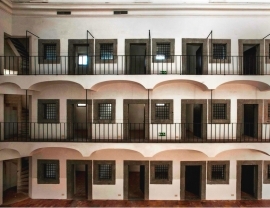 A modern facility that seems to fit the needs of contemporary correction requirements: a futuristic design at the time, created by the great architects Carlo Fontana and Ferdinando Fuga. And a shiver that runs down your spine as you go through one of the rare nighttime visits. 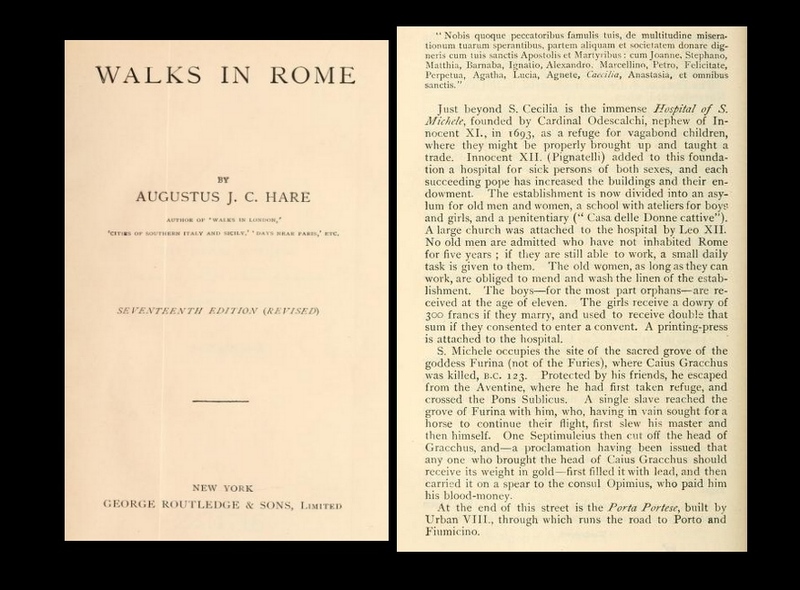 Innocent XII added to this foundation a hospital for sick persons of both sexes, and each succeeding pope has increased the buildings and their endowment. 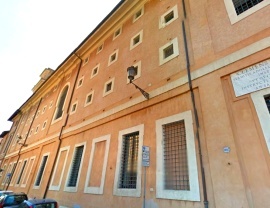 The establishment is now divided into an asylum for old men and women, a school with ateliers for boys and girls, and a penitentiary (''Casa delle Donne cattive"). The old women, as long as they can work, are obliged to mend and wash the linen of the establishment. The boys, for the most part orphans, are received at the age of eleven.